Hawaii is a great spot for a holiday and a hula competition. The Thea Sisters are there for the latter, they are one of two teams representing Mouseford Academy and they are so excited. They are staying at a hotel really close to a volcano and although they have been reassured that there is no chance it will erupt their friend and scientist back home is calling them to warn them otherwise. 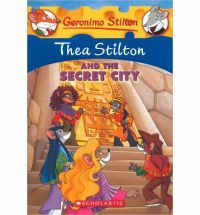 The Thea Sisters use the time between competition to try and get to the bottom of what is really going on and along the way they save some rivals and make some new friends. 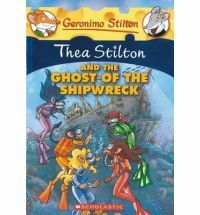 A wonderfully fun and colourful adventure from those favourites from the Stilton canon. These books continue to be great. 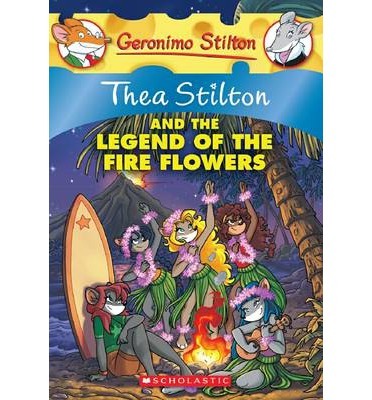 The stories are fun, with educational snippets. 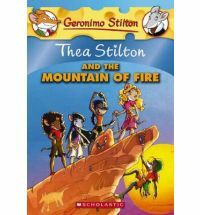 Things move along at a cracking pace which is what you need when you are trying to encourage beginning readers to continue on the booky adventure with you. A strong reading scheme series that continues to delight. 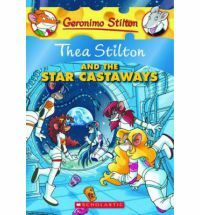 The Thea sisters have been invited on a mission to the moon. They are the guests of billionaire business mouse, Napoleon Smith, who is trialling out his space travel agency to a small number of select guests. After going through some training and being in awe of the company they are in, the sisters soon realise there are things going on under the surface. Then a shuttle crashes and the robots in the moon resort start acting terribly. It looks as though Napoleon Smith’s dream of a hotel on the moon may not happen. 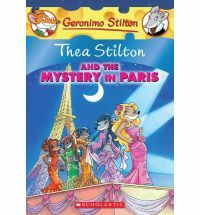 It’s a good thing the Thea sisters are there, they have a knack for sorting out mysteries like this. 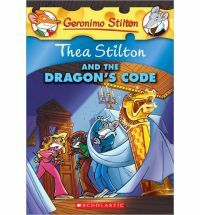 Another entertaining installment of the Thea Stilton series. The fun style of these stories is not the only reason they are so popular. Yes they are visually appealing but the stories are also engrossing and fun. As an added bonus there are little factoids thrown in along the way, to encourage learning as well as entertainment. These books are a good introduction to chapter books, though some readers may find the volume of text a little daunting, something I found to be balanced out by the shortness of the chapters and the very visual presentation.